The original 1958 Impala was a Harley Earl design, with sculpted fenders and plenty of chrome decoration. 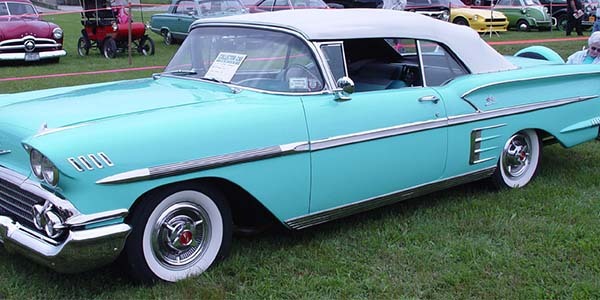 The cars also had Chevy’s first dual head lamps and triple tail lamps. The major chassis advancement was a move from semi-elliptic leaf springs to coils at the rear.